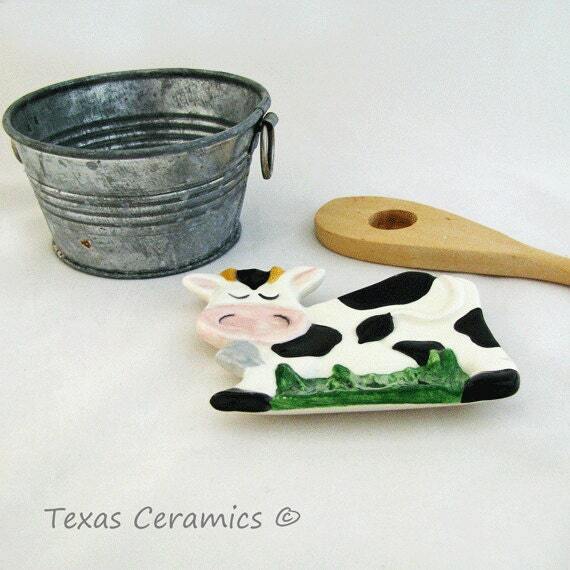 This black and white spotted cow is ideal as a spoon rest of tea bag holder. 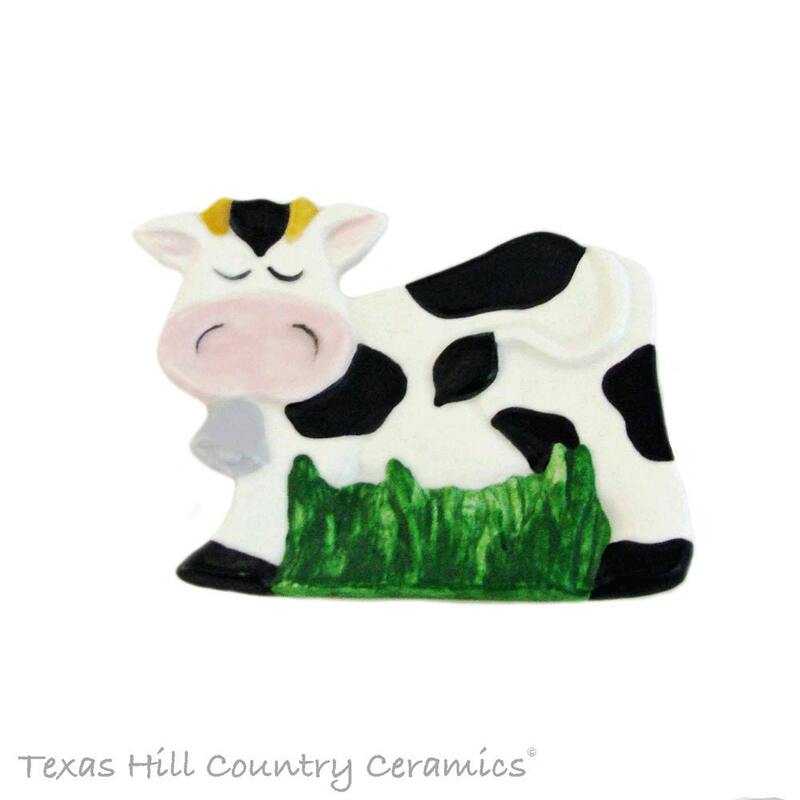 The spotted Holstein cow can be used to hold messy spoons on your cook stove top or kitchen counters helping you keep cooking areas free of spills or messes. 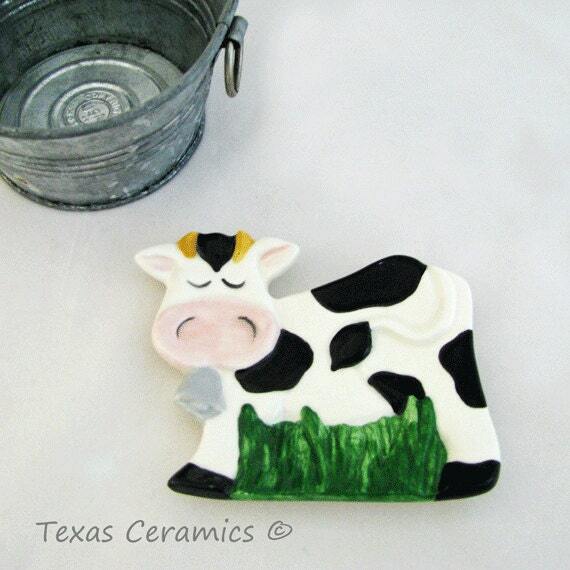 It will also add a touch of the country farm to your kitchen. 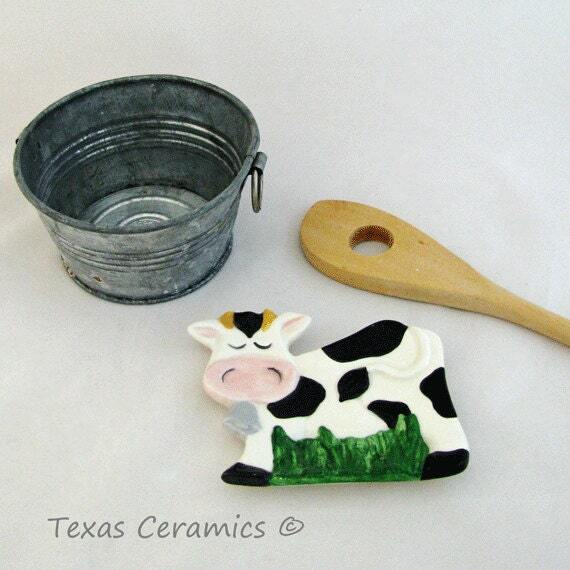 The cow can also be used to hold used tea bags. Ideal for holding serving spoons on a buffet too. • Dishwasher safe and food safe. 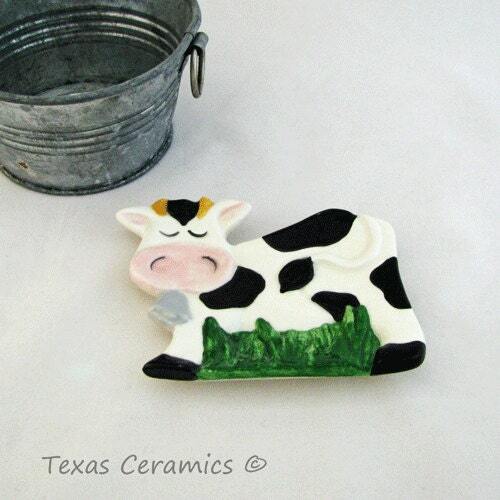 The cow spoon rest is made of solid cast domestic slip cast ceramics for uniformity and kiln fired. All underglaze and glaze is lead free. Really cute and very carefully packaged. Arrived quickly.